Breakfast is the most important meal of the day. We all know that, don’t we? When it comes to breakfast, we have to be innovative so that we don’t get bored having the same breakfast every single day. The pudding I present to you today is ideal for weekends cause it needs a little time to get done. 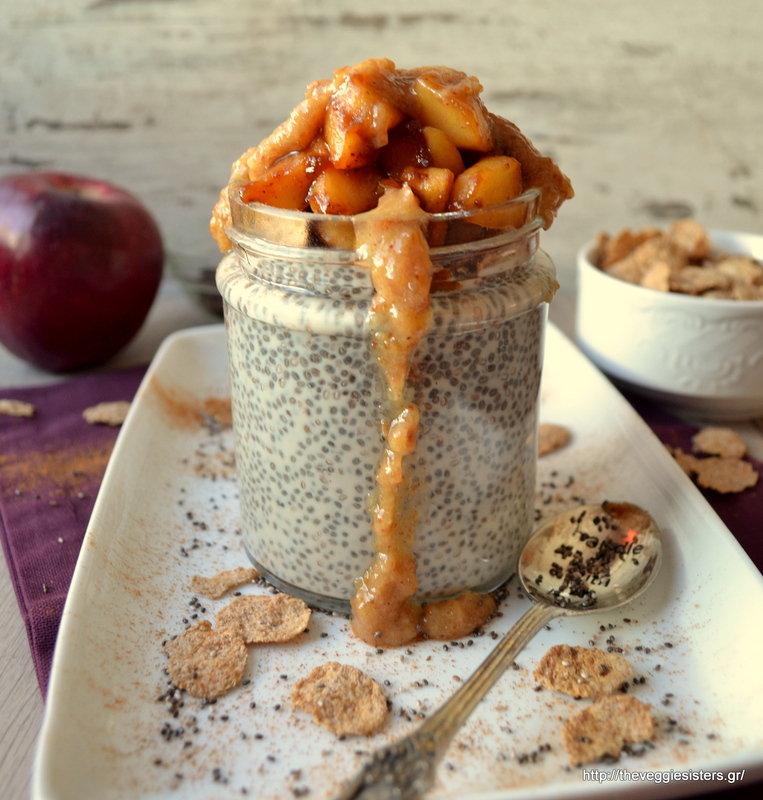 Chia pudding with apples with date caramle sauce, a filling and delicious breakfast that will satisfy your sweet tooth without filling you with guilt! I am sure you and your kids will love it! Have a lovely day, dear friends! Pour milk in a jar and add chia seeds. Keep in the fridge. The next morning pulse dates with 4 Tbsp water and vanilla extract. In a non sticking pan cook apples with sugar and cinnamon until soft. 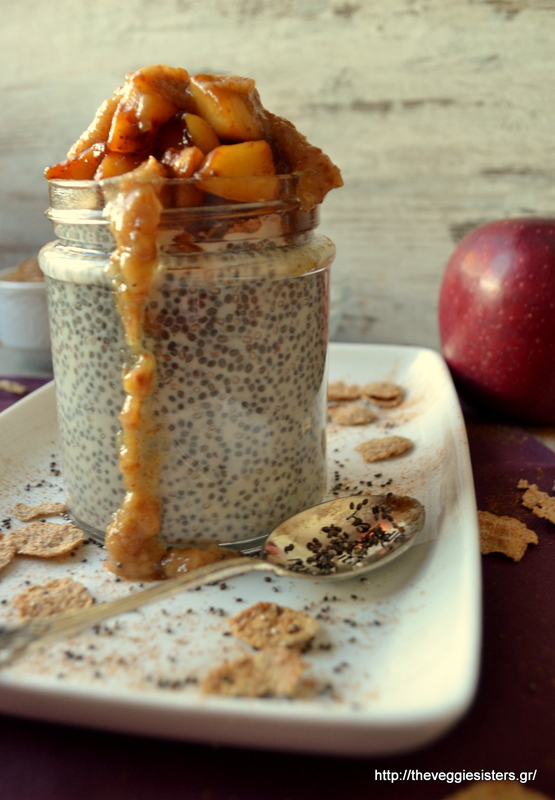 Top chia pudding with apples, date sauce and cereal. Enjoy! 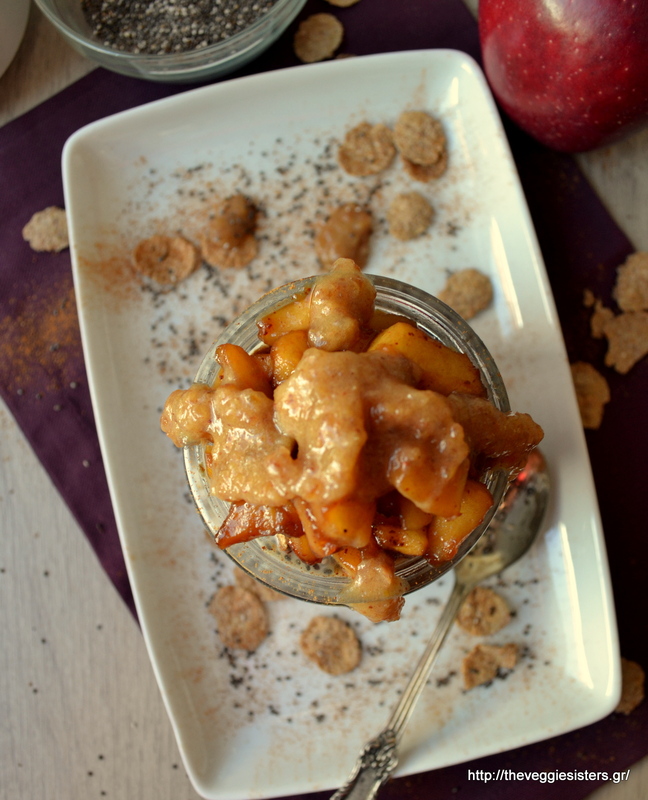 Share the post "Caramelised apple chia pudding"
Previous PostΥπέροχο cheesecake σοκολάτα-καρύδα με La Mia Stevia κ το πιο γλυκό giveaway της χρονιάς!